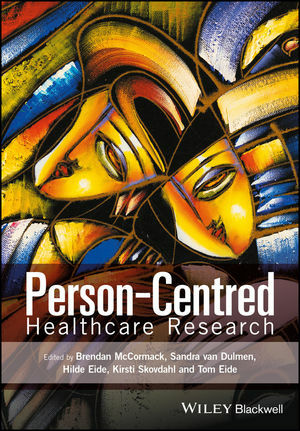 Person-Centred Healthcare Research provides an innovative and novel approach to exploring a range of research designs and methodological approaches aimed at investigating person-centred healthcare practice within and across healthcare disciplines. With contributions from internationally renowned experts in the field, this engaging resource challenges existing R&D methodologies and their relevance to advancing person-centred knowledge generation, dissemination, translation, implementation and use. It also explores new developments in research methods and practices that open up new avenues for advancing the field of person-centred practice. Enables students, practitioners, managers and researchers to gain a solid understanding of the complexity of person-centred thinking in research designs and methods. Explores the theories and practices underpinning a topical subject within current healthcare practice. Is edited by an internationally recognised team who are at the forefront of person-centred healthcare research. Brendan McCormack is Professor and Head of the Division of Nursing; Associate Director of the Centre for Person-Centred Practice Research at the School of Health Sciences, Queen Margaret University, Edinburgh, Scotland, UK; and Professor II, University College of Southeast Norway, Drammen, Norway. Sandra van Dulmen is Programme Coordinator of Communication in Healthcare at NIVEL (Netherlands Institute for Health Services Research), Utrecht, the Netherlands; Professor of Communication in Healthcare at Radboud University Medical Center, Nijmegen, the Netherlands; and Professor II, Faculty of Health and Social Sciences, University College of Southeast Norway, Drammen, Norway. Hilde Eide is Professor in Communication and Health Counselling; Research Director at the Science Centre Health and Technology, Faculty of Health and Social Sciences, University College of Southeast Norway, Drammen, Norway. Kirsti Skovdahl is Programme Director of the PhD programme in Person-Centred Healthcare, and Professor at the Faculty of Health and Social Sciences, University College of Southeast Norway, Drammen, Norway. Tom Eide is Professor of Leadership, Ethics and Literature, and affiliated with the Science Centre Health and Technology, Faculty of Health and Social Sciences, University College of Southeast Norway, Drammen, Norway.